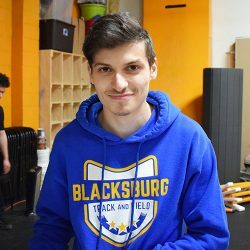 At Blue Ridge Motion you get the safest and highest quality training for adults and kids in Parkour, Free running and Tricking available. 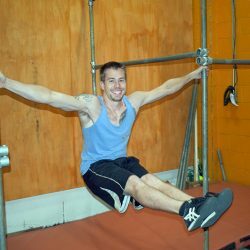 We have the only certified Parkour instructors in the NRV trained and qualified to teach YOU the legitimate movements. 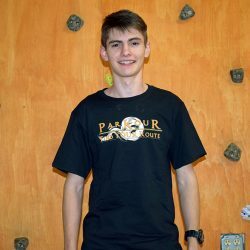 Don’t let your kids or yourself get hurt learning improper technique, and sloppy movements from the other people that don’t know what they are doing, come learn from the Pros who together have over 30 years of combined experience with Parkour, Tricking, and Free running. 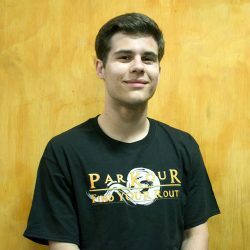 Parkour is a discipline where the person adapts their movements to their environment to overcome obstacles in their environment. Like obstacle coursing. 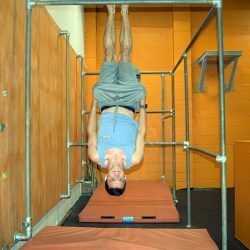 Free running borrows from Parkour but adds flips, acrobatics, and tricking to create interesting, fun or aesthetically pleasing displays of movement. Ninja, Nerf, Open gym, outdoor, at your home and even sleep over parties are available to you. Check them out and have your party with us! It\’s sure to be a time they wont forget! Come out to one of our many affordable and fun open gyms. Use the equipment, get some basic instruction and have a great time. 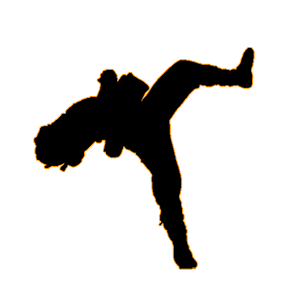 Tricking is a form of movement that takes on elements of tumbling, martial arts, break dance and more. It is often the combination of tricks, kicks, and flips that you chain together to make a combination of unique movements. Want a chance for expert training for Free? Join us for our FREE community event the first sunday of every month. We do this because we want to build a community of people that are bettering themselves every day. We know you\’ll have fun, plus you have nothing to lose. Inquire with us about starting your own special home school group classes. Home schoolers are close to our heart as the owners family was also a home schooling family. What we do is a very fun way to get in shape, but sometimes our clients don\’t feel ready to tackle a normal class, this is no problem. We accommodate many of our clients in this by doing private instruction or personal training to help you get in shape, and moving well again. We tailor the session to your needs, to help you succeed, and at rates that you can afford! Book affordable field trips with us and let your students experience something truly unique to the NRV that no one else can offer, at a price no one else can beat. Got that ONE move you have wanted to learn for a long time? Now\’s your chance to get that specialty training on specific moves! We take an hour or more to do drills, and techniques that will help us perfect those tricky moves. The physical address is 492 Kiwanis LN SE, unit D, Christiansburg, VA, 24073. below is a simple video showing you how to get there from Roanoke street, but here is also a brief summary. You are going to turn on to reading road off Roanoke street. Reading road is in between Southern states, and the government building. You\’re going to go all the way back until you see a sign for Kiwanis Park. Turn left on to Kiwanis LN, and go down towards the Park. Once at the bottom by the park, take a right and go all the way to the back and you\’ll find a warehouse. We are in unit D. You can also just follow signs for Cross-fit. Subscribe to our gym newsletter! 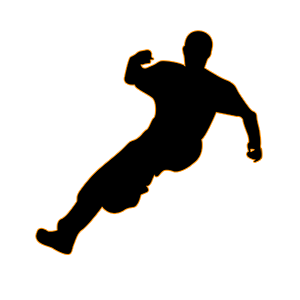 Error: Error validating access token: Session has expired on Tuesday, 12-Mar-19 07:52:33 PDT. The current time is Thursday, 25-Apr-19 20:50:43 PDT.